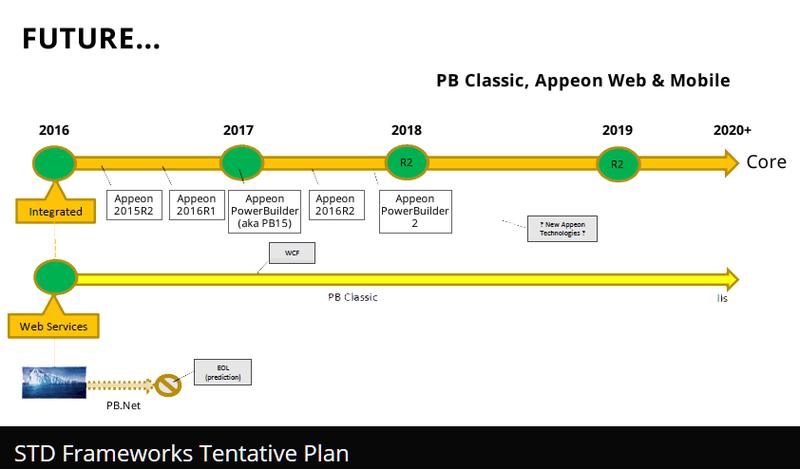 Appeon Corporation's "The Future of PB - Low Level Roadmap" webinar has now been announced for July 28, 2016. If you have not already done so, you will need to register for the webinar series by following this link (click here). 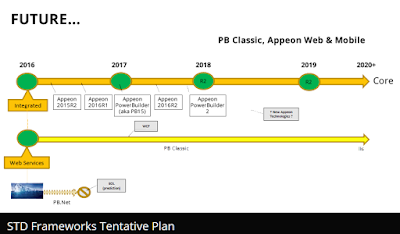 This is the fifth part of a five part webinar series that Appeon had scheduled outlining where they will be taking PowerBuilder product over the next five years and more in detail about their first PB release! 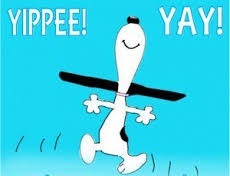 I hope that you can all make this very historical and pivotal moment in the next PB time line! New Release (2016R2) of the STD "Integrated" FrameWork! Integrated Foundation Classes (2016R2) Released! Software Tool & Die Inc (STD) is very pleased to announce that they have just released an updated version 2016R2 (2016.2.0.65) of their Integrated Foundation Class library for PowerBuilder "Classic", Appeon Web and Appeon Mobile! Framework was system tested with: PowerBuilder Classic 12.1, 12.5.1 and 12.6; Appeon and 2015R1 (2015.0372.00); iOS 9.3 and Android 6.0.1 (both Smart Phone & Tablet); IE10/11; FireFox 47.0.0; Safari 5.1.7; Opera 38.0.2220.41; Chrome 51.0.2704.106, Edge 25.10586.0.0). Revised the "nc_app_controller_master" NVUO, changed the HALT command to a HALT Close to ensure these events fire where possible. Revised the "nc_app_controller_master" NVUO, added code to support he new "FreeDBLibraries" INI file entry. Revised the "nc_app_controller_master" NVUO "systemError" event to prevent recursive errors on another failure. Created a new global function "fn_number_to_words_cheque" to convert numbers to English Text (ie: for cheque writing). Revised the "wn_master" base ancestor Window Class to support Mouse Wheel scrolling in native & web environments! Revised the "fn_open_sheet_window" function to only log when in DEBUG mode. Revised the "fn_open_sheet_window_withparm" function to only log when in DEBUG mode. Revised the "fn_open_tab_page" function to only log when in DEBUG mode. Revised the "fn_open_tab_page_withparm" function to only log when in DEBUG mode. Revised the "fn_open_user_object" function to only log when in DEBUG mode. Revised the "fn_open_user_object_withparm" function to only log when in DEBUG mode. Revised the "fn_open_window" function to only log when in DEBUG mode. Revised the "fn_open_window_withparm" function to only log when in DEBUG mode. Revised the "nc_app_controller_master" NVUO, Added & Revised API declarations to add O/S Event logging methods. Revised the "nc_app_controller_master" NVUO, Added DEP and Printer API's to the list of declarations. Revised the "nc_app_controller_master" NVUO, Added new/revised API declarations from the Web Service framework. Revised the "nc_app_controller_master" NVUO, Added MS-Windows EVENT log start message. Revised the "nc_app_controller_master" NVUO, Added code to add Registry entries for MS-Windows event viewer. Revised the "nc_app_controller_master" NVUO, Added code to log the end of application processing in the O/S event log. Revised the "nc_app_controller_master" NVUO, Added code to log a System Error in the O/S event log when this event occurs. Revised the "nc_app_controller_master" NVUO, Modified code to utilize language specific version of the Logon dialogue! Revised the "nc_app_controller_master" NVUO, Revised the code to log Check Version information only when in DEBUG mode. Revised the "nc_app_controller_master" NVUO, Revised code to suppress logging of Environment information unless in DEBUG mode. Revised the "nc_app_controller_master" NVUO, Added new "of_get_mobile_device_id" method to return the Mobile Device ID to the application. Revised the "nc_app_controller_master" NVUO, Added new "of_get_mobile_company" method to return the Mobile device's company information. Revised the "nc_app_controller_master" NVUO, Added new "of_write_event" *overloaded* method for SDK support. Revised the "nc_app_controller_master" NVUO, "of_set_dep_policy" method allowing the application to over-ride the Data Execution Prevention state. Revised the "nc_app_controller_master" NVUO, Added new "of_get_mobile_platform" method to allow the application to query the Mobile PlatForm type. Revised the "nc_app_controller_master" NVUO, Added new "of_get_mobile_os" method to allow the application to query the Mobile OS type. Revised the "nc_app_controller_master" NVUO, Added new "of_set_debug_mode" method to allow the application to change the DEBUG mode dynamically. Revised the "nc_app_controller_master" NVUO, Revised "of_get_message" method to switch DWO's for proper language support! Revised the "vs_dc_master" control, adding a new "oe_selectall" event to support selection of all the text in the current column! Revised the "vs_dc_master" control, adding a new "of_get_saveas_status" method to support queryong of the SaveAs required switch. Revised the "wn_debug_list_master" Window, Added code to handle the new DEBUG command button. Revised the "wn_main_master" Window, Added new "of_is_sheet_window" method to query if Window is operating as an MDI_Child (Sheet). Revised the "wn_main_master" Window, revised OPEN event code to Revised the code to align with Appeon Mobile version 2015R1 and higher. Revised the "wn_main_master" Window, revised CLOSE event code to only log when in DEBUG mode. Revised the "wn_messagebox_master" Window's OPEN and oe_PostOpen events to support displaying information via a DataWindow. 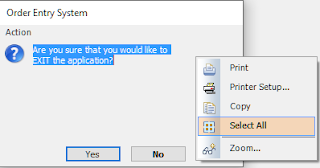 This now includes all DW functionality like pop up menu, drop down menu, printing, printer setup, selecting text, and zooming. Revised the "wn_response_master" Window, to Removed the default (hard coded) Menu instantiation. Revised the "wn_messagebox_master_e/f/s/i" Windows, to handle proper Menu instantiation in the user's language. Appeon / SAP Contract signed for PowerBuilder!